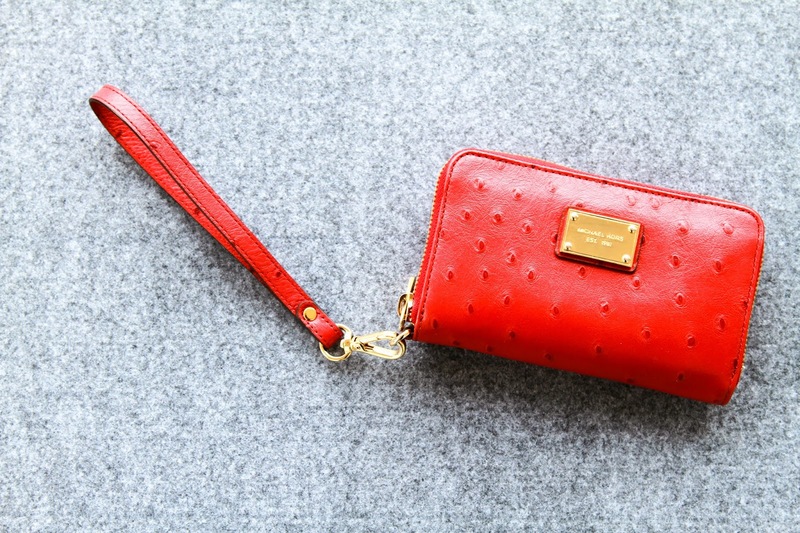 Candy red wrist wallet from Michael Kors is a perfect fit for my cellphone, credit cards and other little necessities. Great little purse for going out. | Cukríkovo červená 'wrist' peňaženka od Michael Kors, pohodlne schová mobil, peniaze a d'alšie drobnosti. Perfektná kabelka na večer.